A dazzling, thought provoking, combination of faith versus secular beliefs, science fiction, spiritual warfare, action adventure and romance. Nya struggled to believe her accomplishment. Nearly a decade’s work was all coming together. This was her moment. The Nobel Prize would be hers for the taking. Her work was going to change the face of bio-science forever. The only problem, someone with an exceptionally dark desire wanted to twist her work for sinister purposes that would change the face of life on earth forever. And he was prepared to go to any lengths to get it. 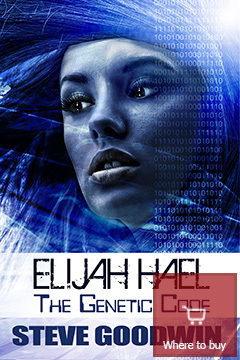 Thus began a chain of startling events that would force Nya to place her trust in an unknown man whom she discovered from archived news reports … died years ago. Journey with Nya, a believer, as her faith is tested. Join Isaac, a non-believer, who questions his existence. Discover how they face death together in a remarkable journey. An emotionally rich escapade which will delight those who quest personally challenging and thought provoking reads.